This winter, take a shopping getaway and discover some of Wisconsin’s most eccentric shops and galleries. Nearly every city, town and hamlet has some sort of fascinating store selling something you’d never expect. If you’re a shopper with a sense of adventure, here are three retailers you need to see to believe. You don’t have to trek deep into a sweltering jungle to find orchids. You don’t even have to leave the state. Middleton is home to the Orchids Garden Center & Nursery. This orchid growing greenhouse specializes in nurturing and selling these exquisite plants. A mid-winter visit to the Orchids Garden Centre, located at 4823 Highway Q just outside Middleton, is a great way to warm up your senses. 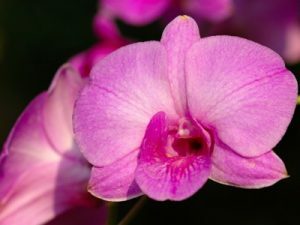 You’ll see a number of varieties of orchids; yellow, red, white and violet blooms greet you. The warmth of the greenhouse makes you forget it’s still winter outside. While choosing which of the breathtaking plants to take home might be a challenge, you can rest assured that you’ll leave with some basic knowledge to help you care for your botanical beauty. The staff at Orchids Garden Center pride themselves on helping customers understand the basics of caring for their purchase. You’ll leave a true convert to the exciting world of orchids. Learn about more interesting Middleton retailers at www.visitmiddleton.com. Head to Black River Country for a journey back to the early 20th century. The Merchant General Store, located at 216 Main Street in downtown Black River Falls, is probably the closest you can get to the old-fashioned general store of yesteryear. Equal parts antiques dealer and candy shop, visitors to the Merchant General Store will have trouble figuring out what to look at first. Antiques and handmade items fill the space, built in 1912. 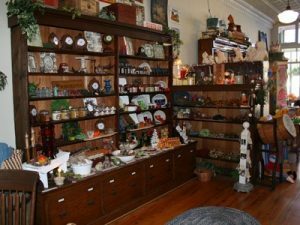 There are classic toys and puzzles, Amish-made furniture, jewelry, soaps and lotions, home décor and more. The store is also the perfect place to savor the flavors of the past. Ice cream, specialty sodas and an array of candy tempt the sweet tooth. It’s impossible to leave this charming little store without a smile. Find more unique Black River Country shops and antiques dealers at www.blackrivercountry.net. When hunting enthusiasts walk into the Bear Paw Company for the first time, their jaws drop. Located at 824 Bear Paw Avenue, just off Highway 53 in Rice Lake, the shop has been visited by just about every hunter heading north or south along that corridor. Wall to wall outdoors equipment is framed by hundreds of game animals preserved through the art of taxidermy. Everything from wood ducks to elk gaze down at you as you browse through an unbelievable selection of hunting- and shooting-related items. Knowledgeable staff and visually stunning displays make a visit to this retailer more than just a shopping trip. If you’re a hunter – or just someone hunting for the unique – you need to see this place. Visit www.ricelaketourism.com for information on more Rice Lake retailers.